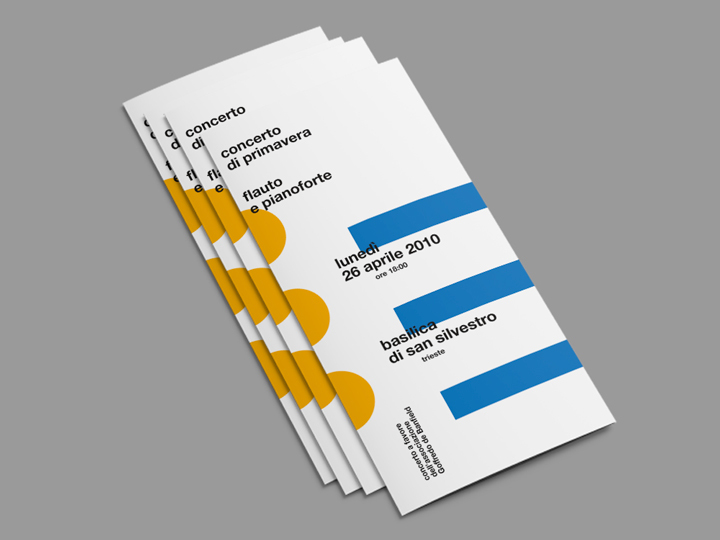 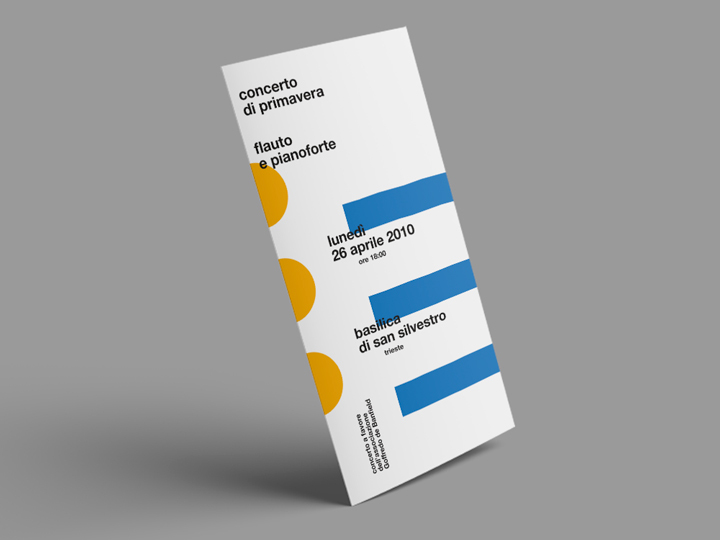 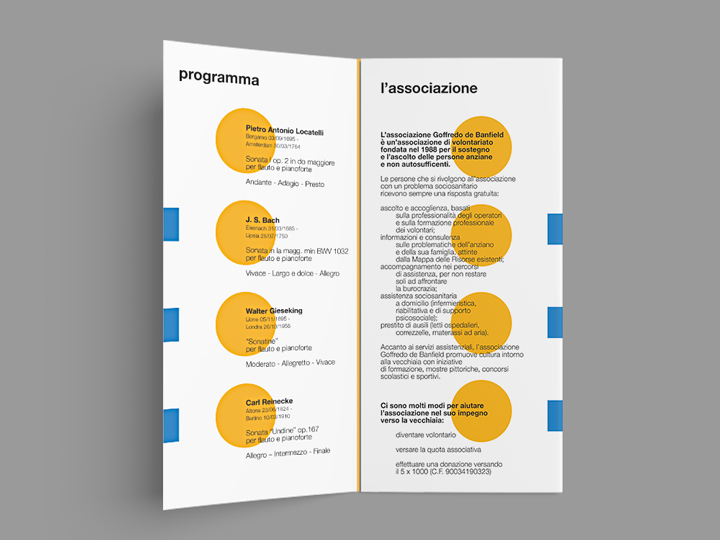 Tri-fold flyer designed to promote the annual Concerto di Primavera (translated as ‘Springtime Concert’), a classic music gig organized annually by the Goffredo De Banfield Association in Trieste (Italy). 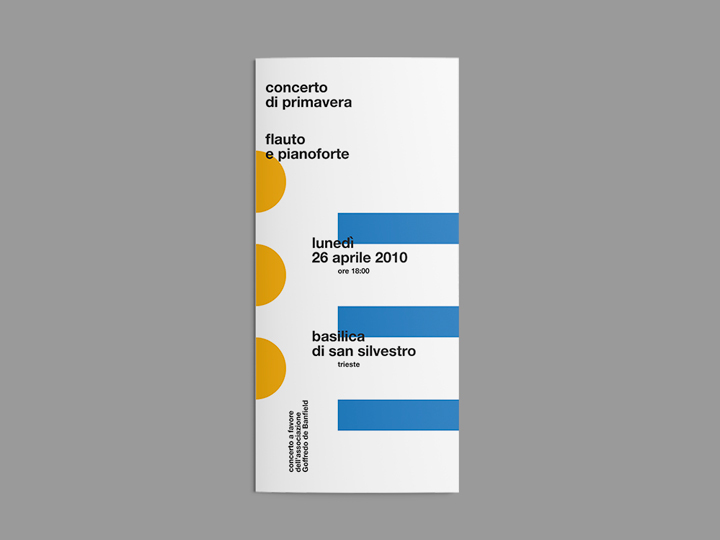 The 2010 concert was a duo concert for flute and piano. 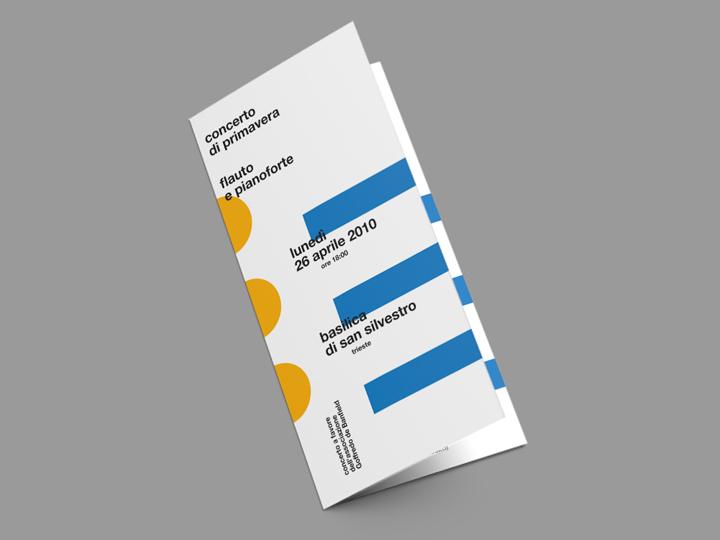 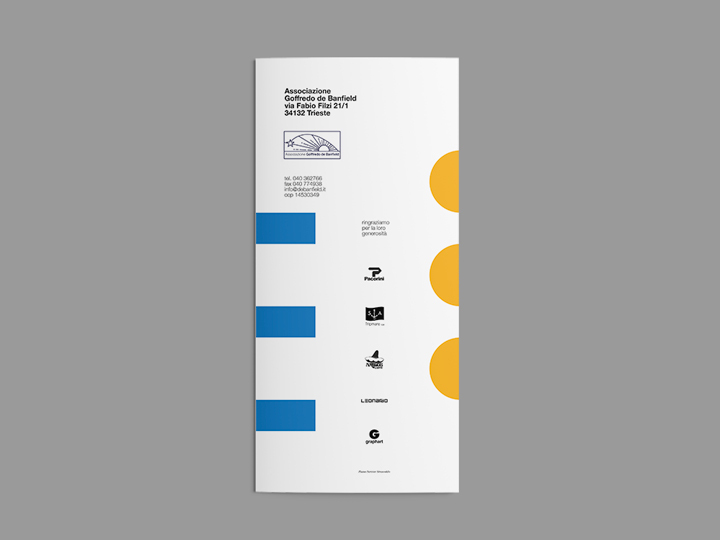 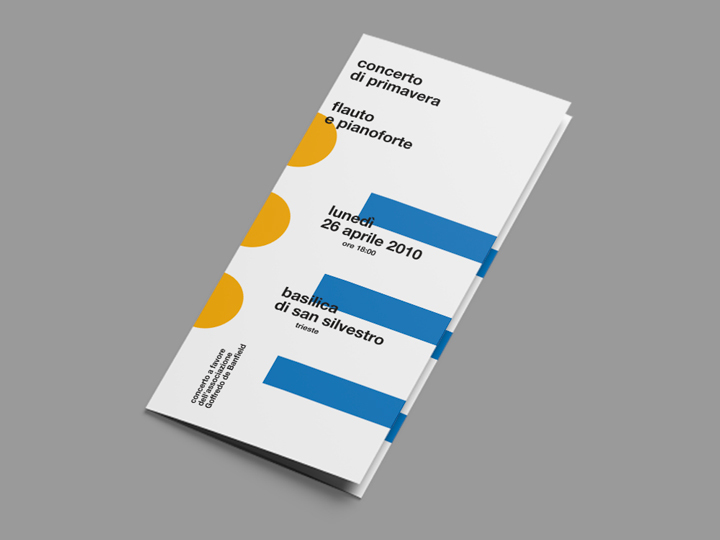 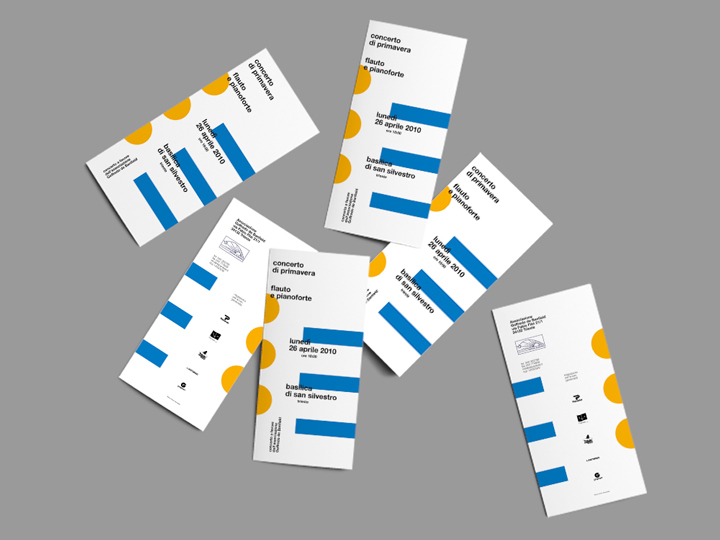 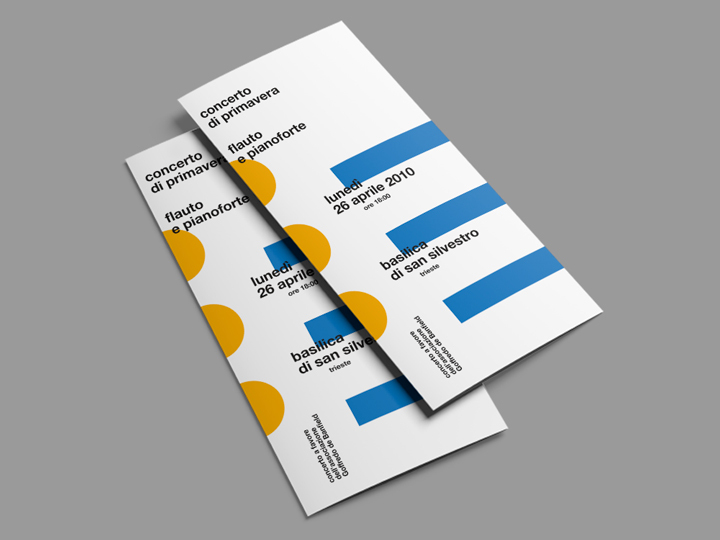 The flyer’s design presents three dots (representing the flute holes) and three horizontal rectangles (representing the piano keys) that — paginated in Swiss style with the use of a bold sans serif type — extends and replicates themselves in all of the folding doors, creating a blue and yellow colour-explosion that reminds of springtime. 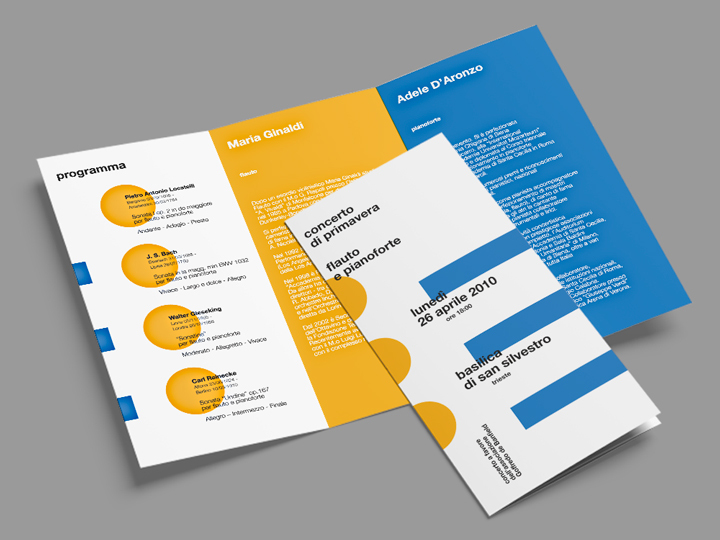 This was the first version of the tri-fold flyer. 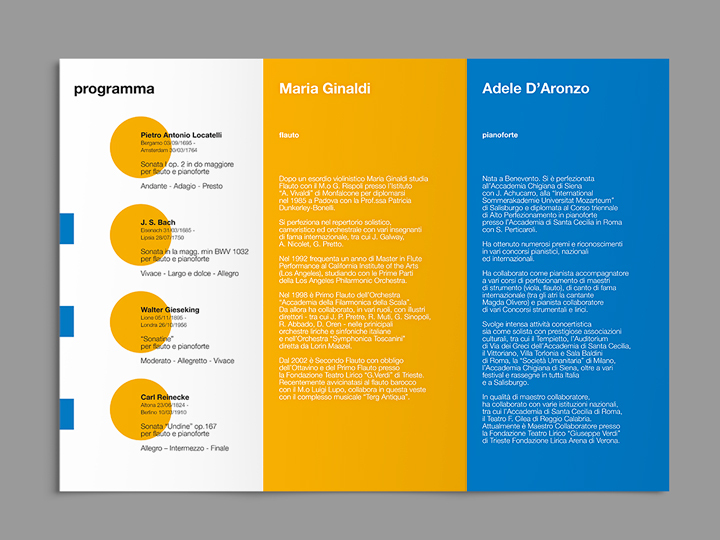 At the end the final version came out as shown here.